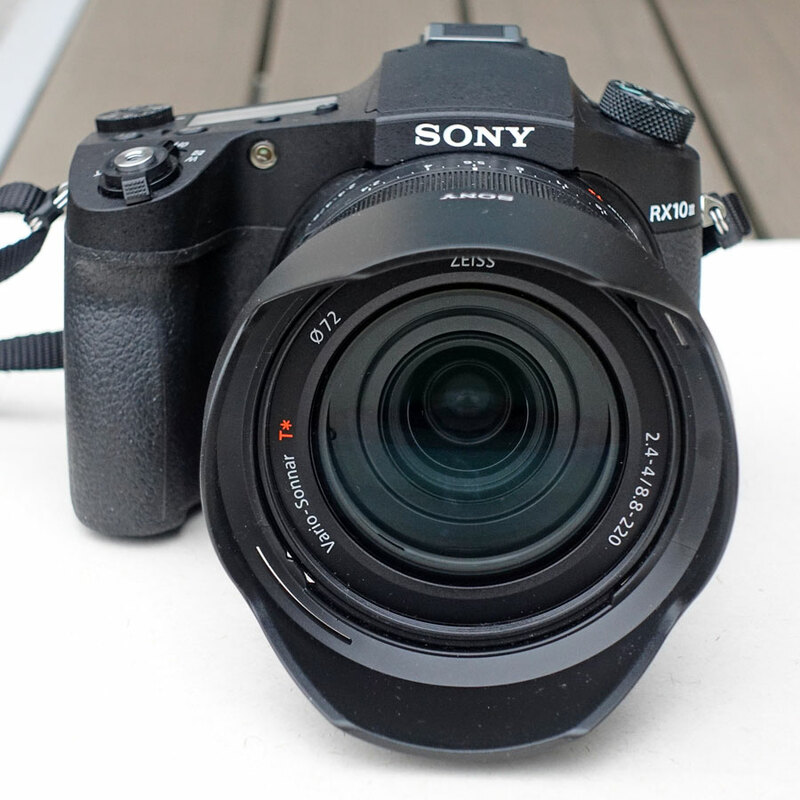 On this page, I would like to give away my first impressions of using the Sony RX10 M3 camera. 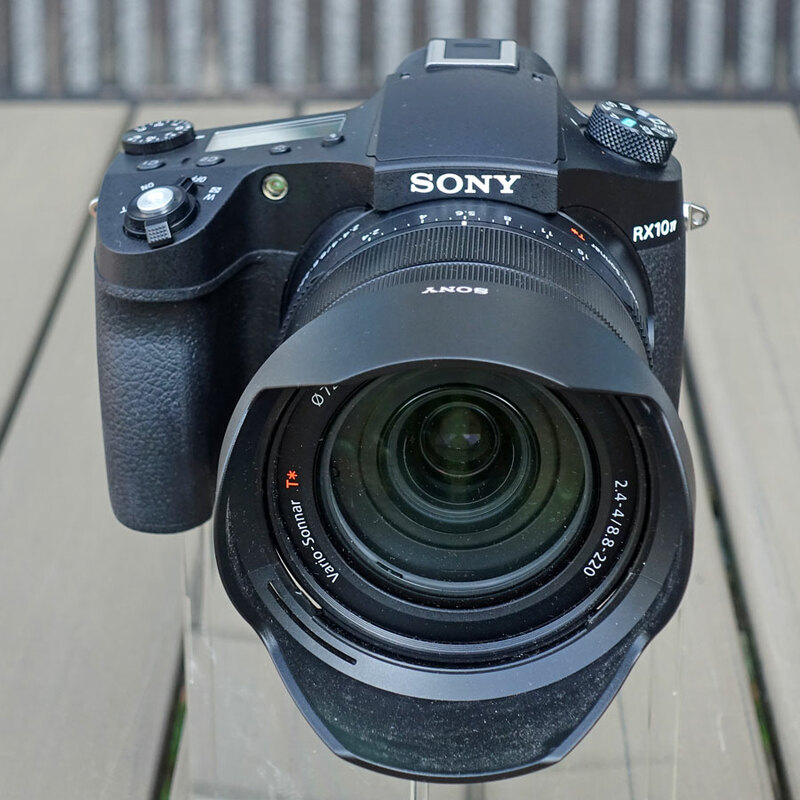 At the end of March 2019, I replaced my RX10 M3 with its successor RX10 M4, but the comments on the RX10 M3 on this page also apply to the new camera, because both cameras are very similar. Therefore, this page covers both models. The viewfinder image is comparatively large, which I really appreciate. Although I can see the pixels, which I cannot see in viewfinders with lower magnifications (and the same resolution), it is really size that matters for me, not only for manual focusing, but also in general. My computer's hard disk is getting full now much earlier, because of the 20 MP sensor and JPEG images in "extra fine" compression - and thus, larger image files. 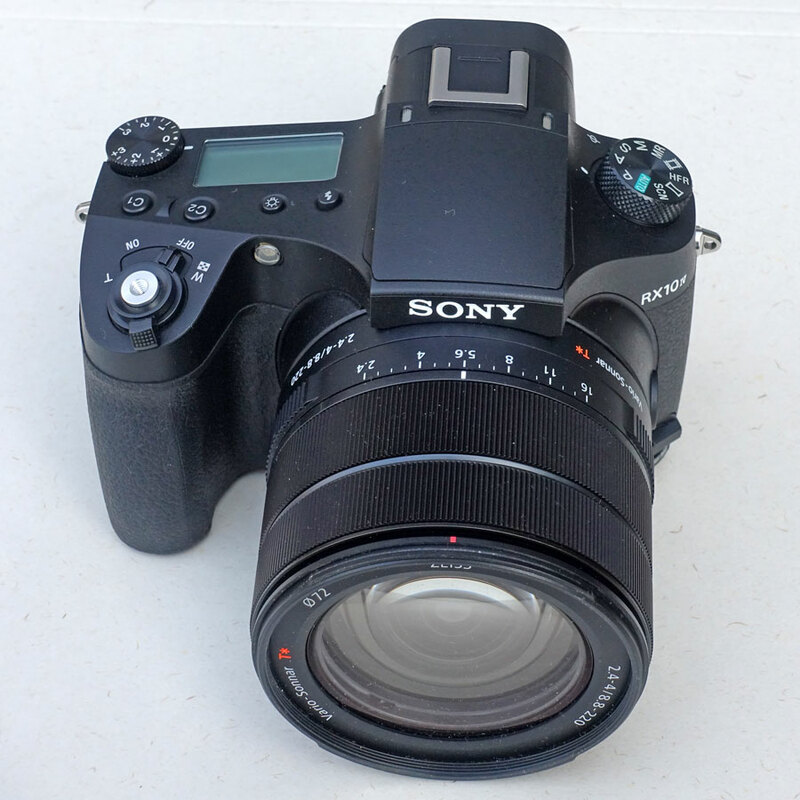 At the end of March 2019, I replaced my RX10 M3 with its successor RX10 M4, but the above comments also apply to the new camera, because both cameras are very similar. Focusing (Focus Ring): Can be "manually" set at the lens by turning the Focus Ring - and needs some practice, because it it "by wire" and not mechanical. But using Focus Magnification and Focus Peaking, I am successful most of the time. And since there are two lens rings (Front and Rear Lens Ring), the camera allows me to decide, which one I want to use for focusing (I chose the Front Lens Ring, which is the default) - and I can even set the direction of rotation. Cons: The manual focus has quite some hysteresis, and the correct focus point seems to move over time (not so on the Panasonic TZ202, thus, it can be done better...). Zooming (Zoom Ring, Zoom Lever): Can be done using the Zoom Ring and/or the Zoom Lever. For the Zoom Ring you can also set step zoom (zooms in steps). The Zoom Ring has the same options as the Focus Ring and both rings can exchange their functions. Aperture (Aperture Ring): Is selected manually at the lens (Aperture Ring). Typically, you need this only in A or M mode. Shutter speed: Mostly, I use the camera in P mode, sometimes in A or M mode. In the first two cases, shutter speed is set automatically. Switching to A or M mode is easy thanks to the Mode Dial on the camera top. Focus magnification: Is set to automatic by me and activated when I turn the lens's focus ring (Manual Focus Assist). Changing the magnification using the OK button is convenient. I also use Down button for activating focus magnification manually (Focus Magnifier). Level: Can be activated using the DISP button; I use it most of the time. Focus mode (Focus Switch): There is an explicit switch (Focus Switch) for setting the focus mode next to the lens. Lock focus (Focus Hold Button, AF/MF Toggle Function): I "reuse" the Focus Hold Button close to the lens for the AF/MF Toggle Function, which also provides me with kind of a focus hold function. Quick Menu (Fn Button): Provides access to many functions that I use more often so that I need not dive into the menu system for these functions. Exposure Simulation: I set the function Live View Display to Settings Effects On - that is, yes! Focus Magnification: Automatic = As soon as you turn the Focus Ring on the lens, the enlarged detail appears (MF Assist). Moreover, I reserved a function key for activating this functionality manually (Focus Magnifier). In both cases, the enlargement factor can be changed pressing the OK button. For details see page Configuration. The RX10 M3/4 is not at all a pocketable camera (and it is expensive, too). That is why I bought the Sony RX100 M4 and later the Panasonic TZ202 before I decided to buy this camera. Size and weight comparisons can be found here. For me, the close-up behavior of the lens is also important. For me, this mostly means that I want to achieve high magnifications from a distance (1 m and more). And that means using long focal lengths. So the closest focusing distance must be short enough to still achieve sufficient magnification. 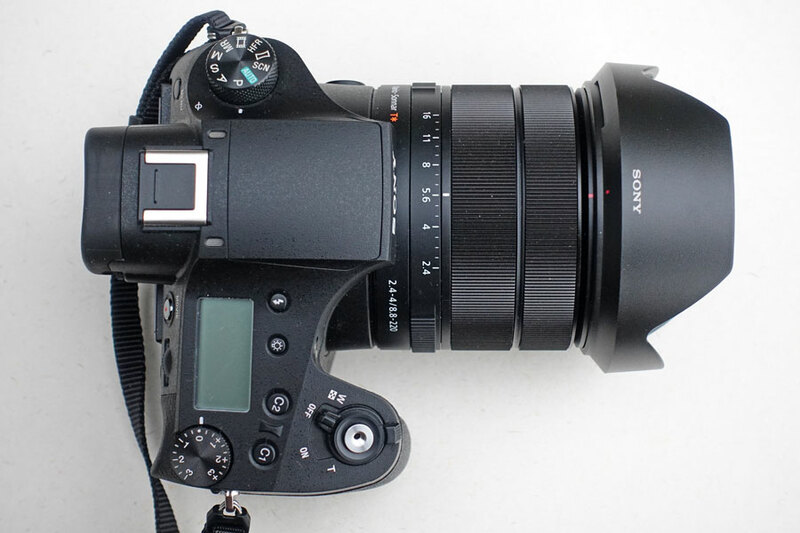 This is unfortunately not the case with the Sony RX10 M3/4 in the focal length range between 100 mm and almost 400 mm. Above that (400 mm - 600 mm) it is good, and it is best at 600 mm, that is at the long end of the focal length range! Of course, high magnifications at the wide end are also welcome, if the objects are close enough and do not run away or fly away (shading can be a problem, though). Magnification is highest at 50 mm, where shading is less of a problem than with 24 mm or 28 mm. So, the viewfinders all have the same resolution, but offer a different magnification. 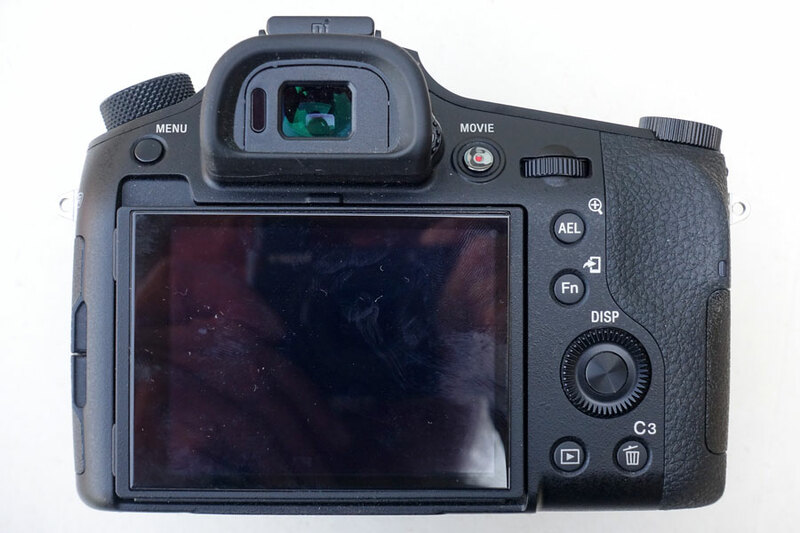 I do not like the Panasonic TZ202's viewfinder very much. It has the lowest magnification, and often the view looks of pale and blurred. 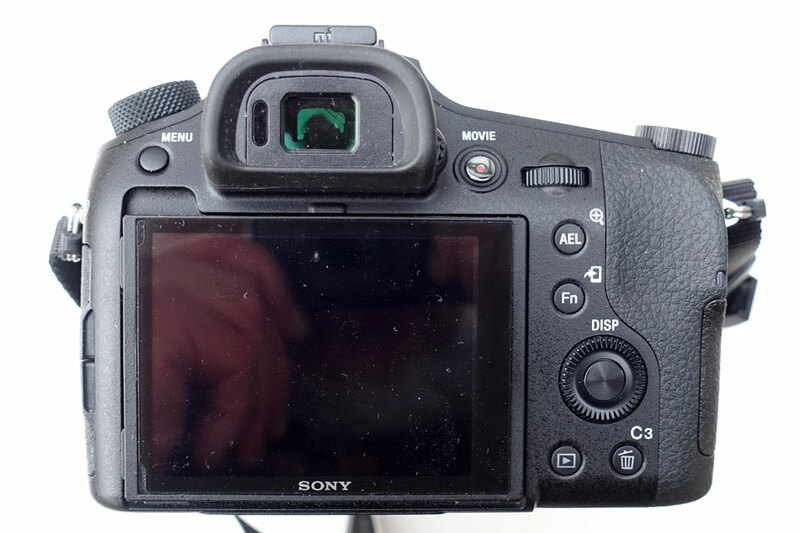 I like the viewfinder of the Sony RX100 M4 better. It has a slightly higher magnification, shows no pixels yet, has nice colors, but sometimes I have problems with the sharpness. 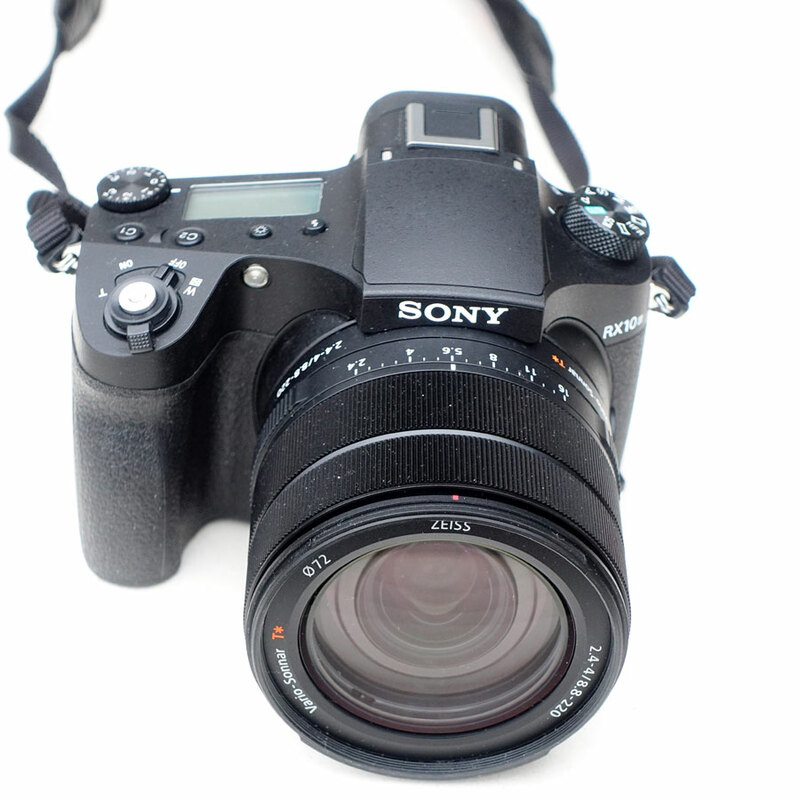 I like the Sony RX10 M3/4 viewfinder best. It has the highest magnification and the view almost looks like that from a DSLR camera. It has nice, but different colors than the RX100 M4, and because of the size of the viewfinder image I can recognize pixels. But that is no problem for me. With this viewfinder, I like to photograph the most - it is amazing what this factor means to me! What Is Missing or Could Be Improved (in My Opinion)? No hysteresis when turning the focus ring "by wire"
Noise reduction: Less aggressive noise reduction with respect to fine details; dpreview.com recommends setting High ISO Noise Reduction to Low.